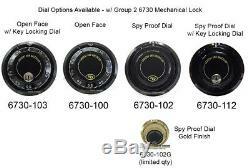 Sargent & Greenleaf 6730 GROUP 2 - 3 Wheel Combination Lock & D220/R167 Spy Proof Dial Gold & Black Kit. 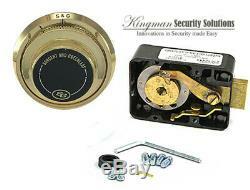 Kit Includes: S&G 6730 Standard Bolt Mechanical Lock + Hardware - S&G D220/R167 Spy Proof Dial & Ring + Hardware - Factory Instruction Sheets for Both items. 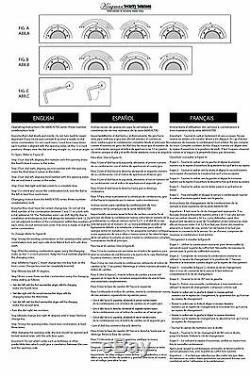 HARDWARE KIT INCLUDES CHANGE KEY, SPLINE KEY, MOUNTING SCREWS & DIAL BUSHING. This Kit will Fit any safe that has a standard mounting footprint safe lock. 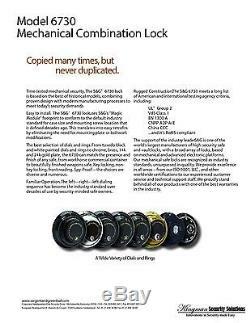 This is a Great Upgrade for your existing worn 6730-100 setup! 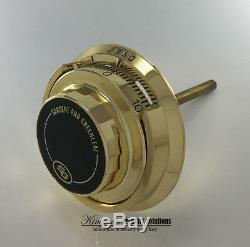 The Gold and Black dials are Spy Proof with a spindle length to accommodate doors up to 3.4 thick. The Model 6730 is the venerable standard of the industry for mechanical safe locks. This UL 768 Group 2 listed lock features a brass lever and three brass and aluminum combination wheels. Patented S&G torque adjuster enhances security by maintaining proper wheel pack tension. Integral relocker thwarts forced entry attacks. Brass four-way drive cam allows mounting all four common mounting patterns (RH, LH, VU, or VD). Metal wheels (brass and aluminum) for long, dependable life. Can be used with a variety of S&G dials and dial rings. Uses the industry standard footprint to match the mounting dimensions of most modern mechanical and electronic safe locks. S&G Mechanical locks are second to None. 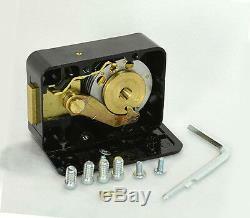 Recommends this high quality, extremely durable Mechanical lock Kit. This is an excellent upgrade from Lagard 3390 Group 2M 3 Wheel locks. 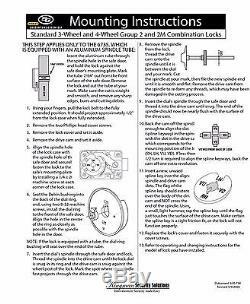 This is an excellent upgrade from S&G 6741 Group 2M 3 Wheel Locks. 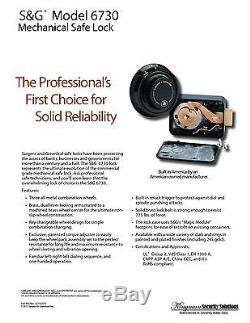 Time to upgrade to a top Quality Mechanical Combination Lock! 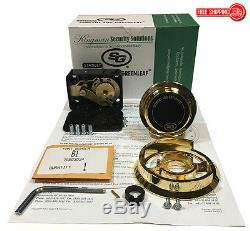 The item "S&G Sargent and Greenleaf 6730-102G Group 2 Spy Proof Dial & Lock Kit Gold" is in sale since Wednesday, September 20, 2017. This item is in the category "Business & Industrial\Facility Maintenance & Safety\Access Control Equipment\Safes". 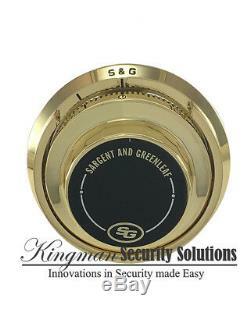 The seller is "kingmansecuritygroup" and is located in Long Beach, California. This item can be shipped to North, South, or Latin America, all countries in Europe, all countries in continental Asia, Australia.